Every year you need to transfer birthdays to your new calendar, only to repeat the same procedure the next year. 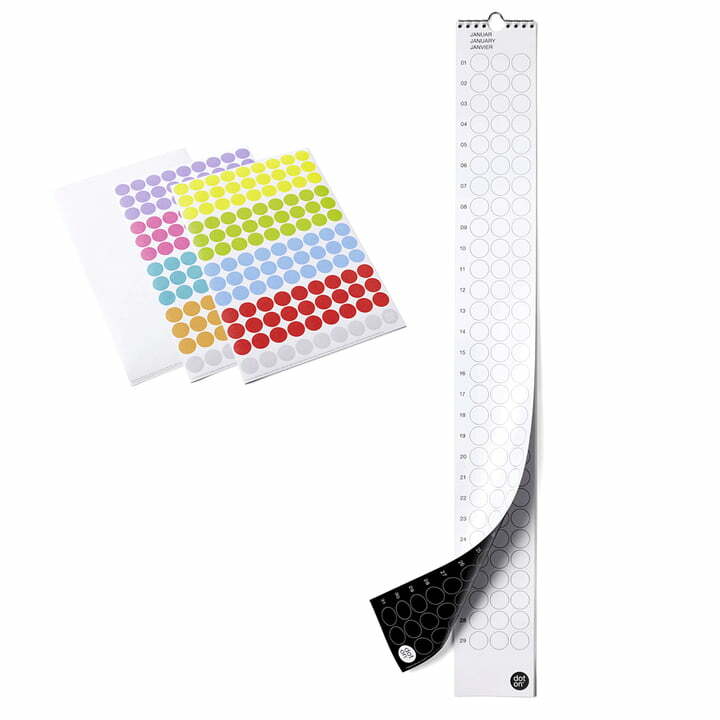 But those times are over: With the dot on b-day without year or week markings, you can write the names of your loved ones onto colourful adhesive dots or print the white dots with pictures or illustrations. The dot on 12x1 b-day can easily be hung on your wall with a nail or pin. 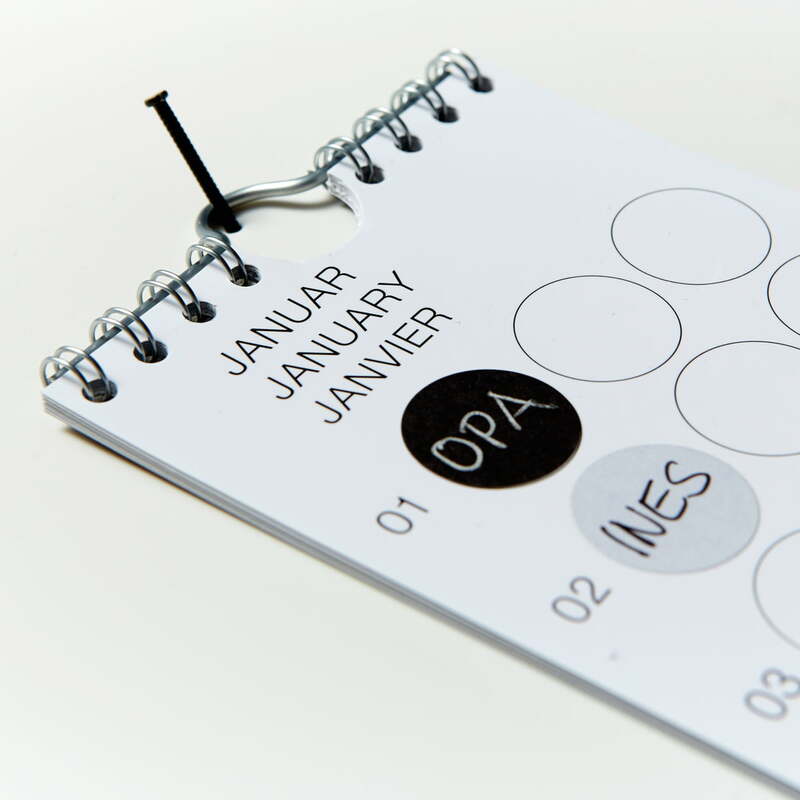 The dot on is reversible: The front is white with a black calendar; the back is black with a white calendar. 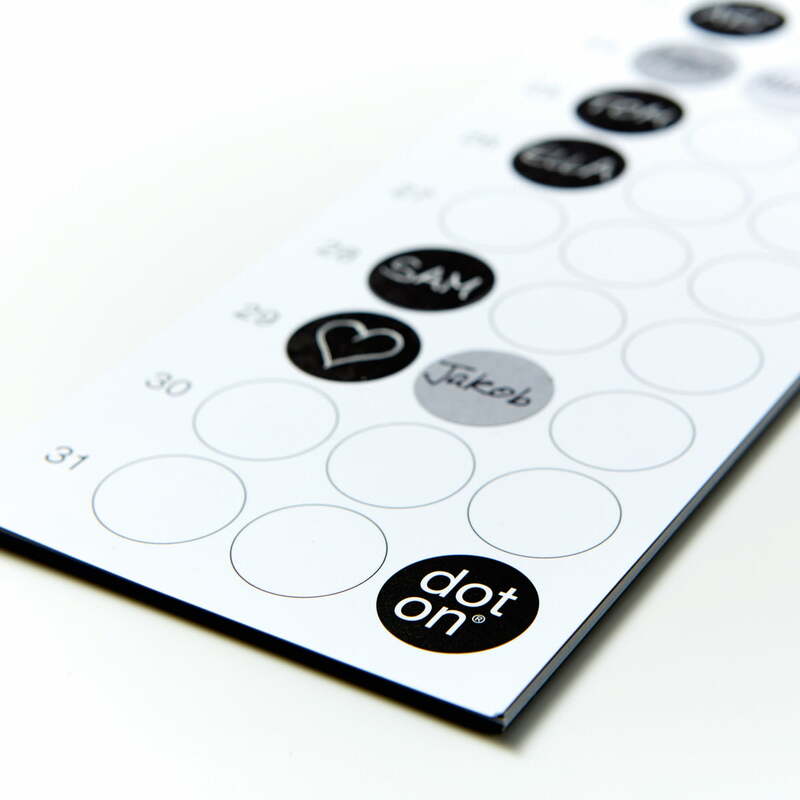 And now you can start: write on the dots and stick them in the appropriate places. You can also print pictures onto the print sheets using a template. 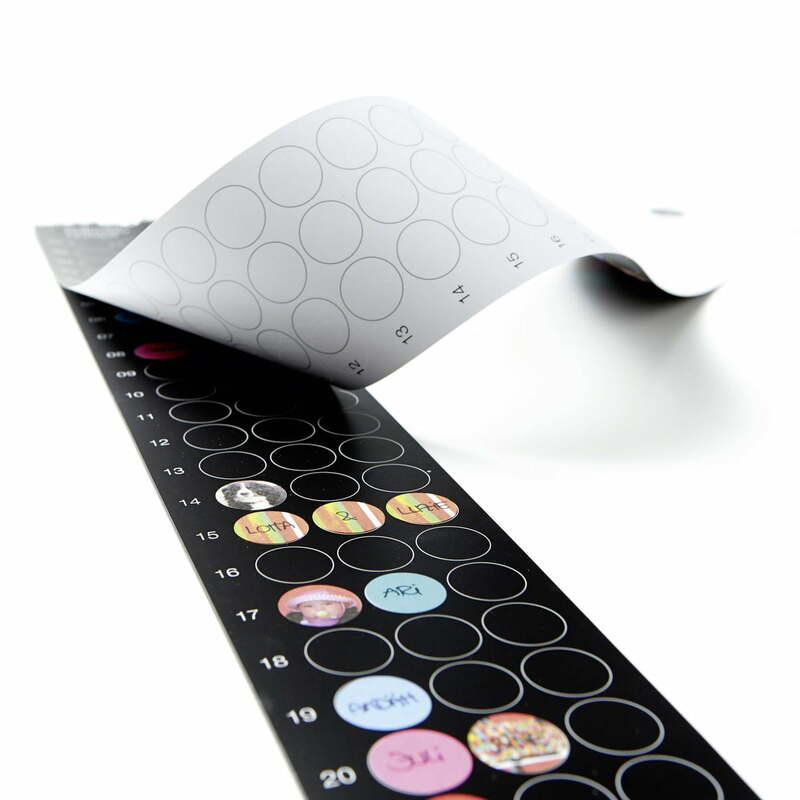 By the way, the calendar has a matt lamination, so that the dots can be removed and replaced. And next year, your birthday planner will already know everyone's birthday.